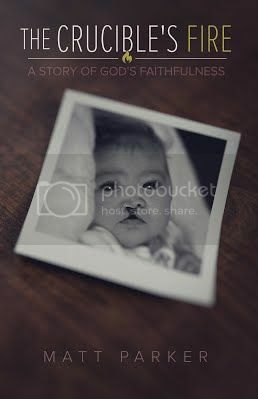 · Strengthen your own trust in God's refining faithfulness as you join this family through the joys and pains of raising a special needs child. Matt Parker serves as a high school teacher in rural East Texas and has served as a bi-vocational minister for almost 25 years. He has recently retired from pastoral ministry to develop discipleship materials to encourage the saints and help deepen their walk with the Lord. He is married to Tammy, his high school sweetheart, and together they have four biological children, three adopted children, one granddaughter, and serve as foster parents. Their youngest daughter, Brynna, was born with severe physical and developmental delays. Over the past decade, Matt has kept friends and family updated on her condition, progress, and their sanctification through email and his ministry blog at The Crucible's Fire.